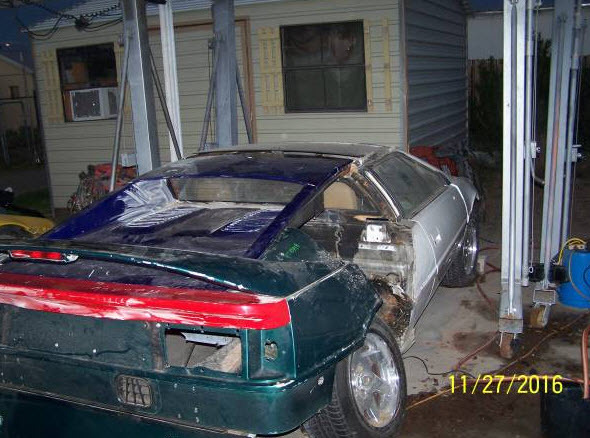 For anyone with a Lotus Esprit S4 , there maybe some hard to find parts available from this seller. I’m always surprised at how inexpensive these cars are now. Original Left Side Door from one of the CUNNINGHAM D-type JAGUARs. Original Jaguar D-type door with period race modifications by the USA Cunningham Racing Team, (a second outer skin to blend into the full-width perspex window and a swing down piano style door hinge replacing the standard Jaguar horizontal door hinges). Color is Off White outside with white “meatball” and what looks like faint number “12”, Inside is dark blue or black over a earlier Blue. I took photos of this door next to a Cuningham D-type in the Collier museum in Naples Florida. This door matches that car exactly in size, shape and paint patterns, and the car in the museum has a replacement door, so this could be the original for that car. I bought this door in England many years ago. A Jaguar Team mechanic that worked there when the D-type was new told me that he recognised the Alfred Momo drilled door handle lightening holes. Condition is unchanged from when I bought the door. 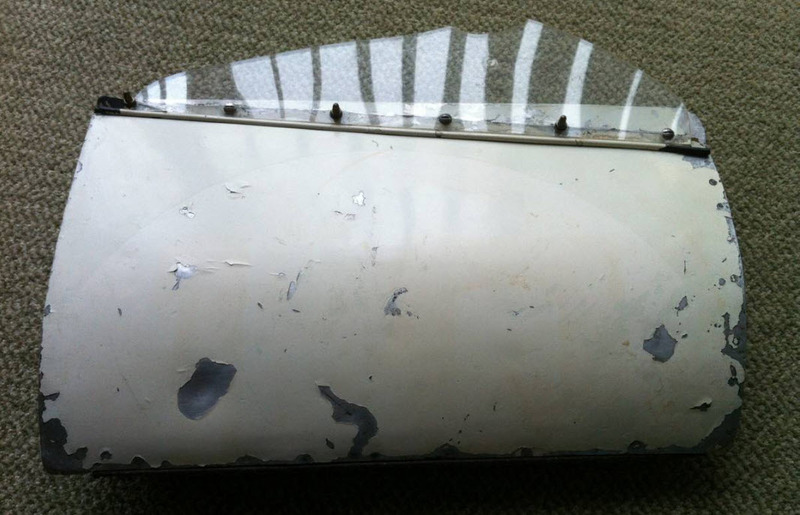 It shows scratches, paint chips and dings associated with racing, the perspex window is partially missing. The door latch functions as it should.